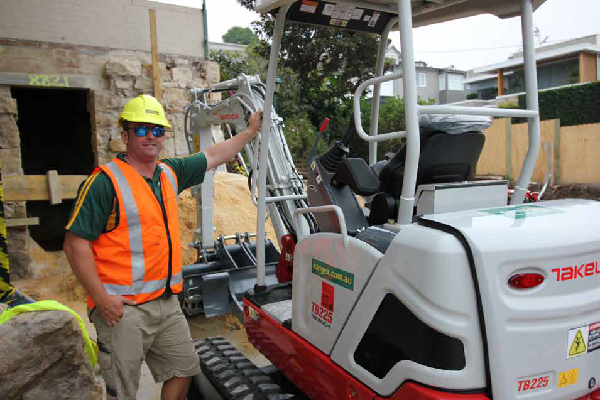 Kanga Excavation Services P/L has discovered the all-new Takeuchi TB225 compact excavator punches way above its weight. The company specialises in very tight excavation work associated with basement extensions and complex residential and commercial renovations. These jobs are often located in densely populated areas that have narrow streets, steep slopes and present a real challenge to access. “When working to a client’s budget, it’s important to ensure no time is wasted. 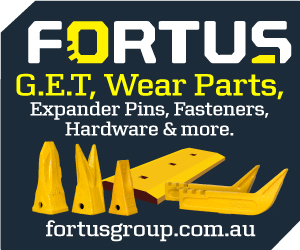 We need to work quickly to minimise the cost of trucks and skips, as well as avoiding disruption to traffic flow on busy roads,” said Stefan. The purchase of the TB225 was not the first Takeuchi excavator for KangEx. The company has been operating several models, including a 1180kg TB210R that was added to the fleet last year. 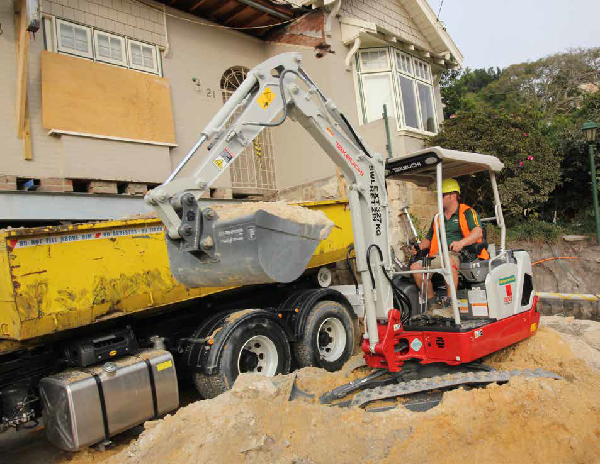 The decision by KangEx to purchase another Takeuchi was based on the productivity, durability and reliability it experienced with its current machines. “We needed another excavator, and when looking at the specifications of the TB225 it didn’t take much to convince us this new model would be the ideal solution. Rather than add a 1.7 tonne machine to the fleet, the TB225 promised to give productivity that represented a great return on investment,” said Stefan. “The Takeuchi TB225 is the world’s first2.5 tonne-class excavator with tracks that retract to a narrow 1100 mm, meaning we can get this powerful machine into places that previously only a 1.7 tonne-class machine could access. 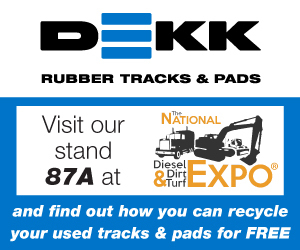 A huge bonus is its astonishing lift capacity of 327kg with the tracks extended out to 1500mm. Even with the tracks at 1100 mm, its lift capacity of 219kg is still amazing! “This is a full specification machine, not just a basic excavator. It has adjustable hydraulic flow, auto deceleration, auto idle and pilot proportional controls. The TB225 is also extremely powerful. 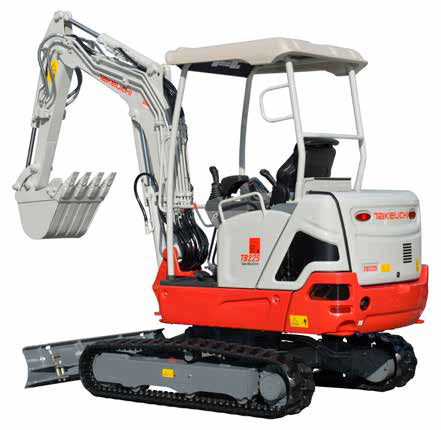 It’s a magnificently built piece of equipment and it is obvious that Takeuchi has listened to customer feedback because everything you could want in a compact excavator appears on this model. “When you’re at the controls it’s like operating a full-size excavator – a totally upscale experience from most other mini excavators. Takeuchi has clearly designed this machine to take the mini excavator to a whole new level and it’s helped our business productivity even more than we anticipated,” Stefan said. 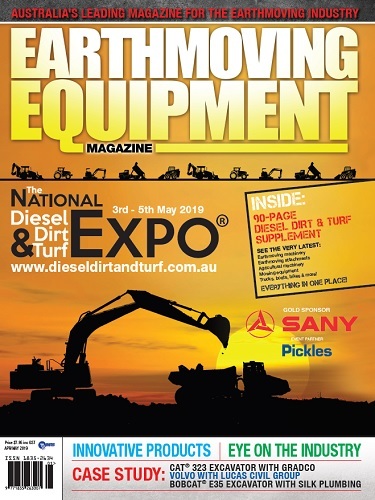 Further information on the new Takeuchi TB225 excavator, and the complete range of Takeuchi machines is available at www.takeuchi.com.au or 1800 685 525.